Stuck for what to choose? Want to buy something for that special someone, but not sure of their size? Then why not go for one of our shiny, email delivered gift vouchers!<br> <br> Upon placing your order, the voucher will shortly be emailed to your inbox - or the inbox of whoever you want the voucher to go to! <br> <br> The Voucher can be used to place any number of orders up to it's total sum; or can be used in part payment towards a larger order. <br> <br> There's no shipping charge for worldwide delivery either (although that has to included in the final order value) due to email delivery of the voucher. Stuck for what to choose? Want to buy something for that special someone, but not sure of their size? Then why not go for one of our shiny, email delivered gift vouchers! 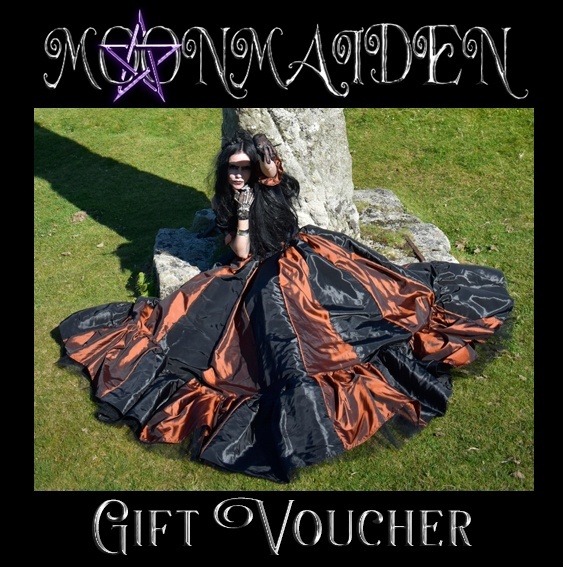 Upon placing your order, the voucher will shortly be emailed to your inbox - or the inbox of whoever you want the voucher to go to! The Voucher can be used to place any number of orders up to it's total sum; or can be used in part payment towards a larger order. There's no shipping charge for worldwide delivery either (although that has to included in the final order value) due to email delivery of the voucher.